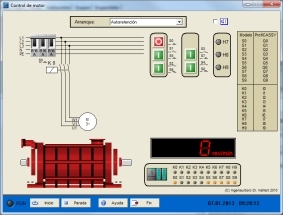 Simulation that runs on the PC and contains the simulation of 5 different processes. 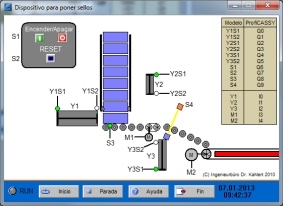 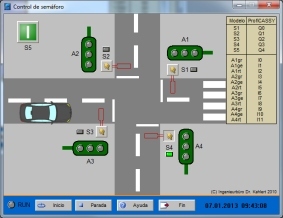 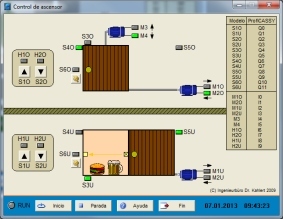 Using a Profi Cassy Interface (524 016) this simulation can be controlled by a real PLC or the COM3LAB Course “Automation and Bustechnology”. 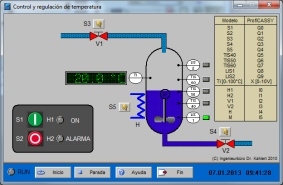 Optimized exclusively for MSDOS and Windows 95.